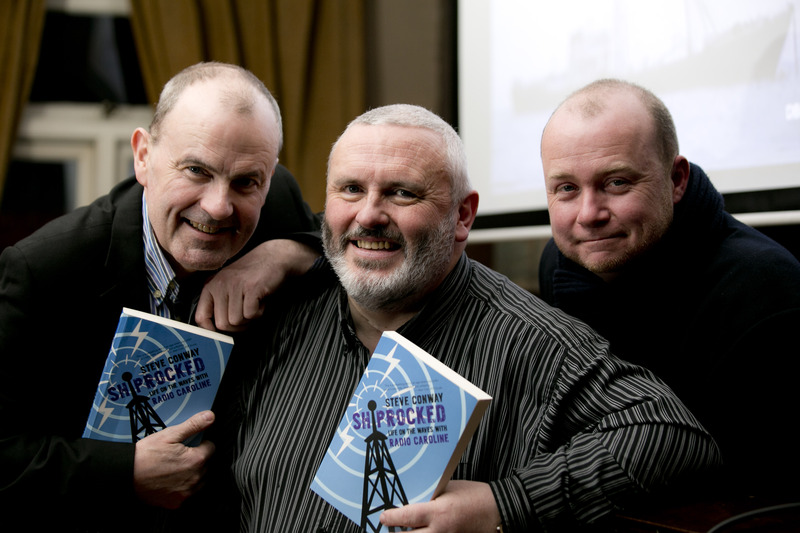 The new (2014) edition of Shiprocked – Life On The Waves With Radio Caroline was launched in Dublin last night, with former Caroline and RTE 2FM broadcaster, and current-day drive time 4FM presenter Gareth O’Callaghan doing the honours. The book is already in stock at most large retailers in Ireland, and will be on sale in the UK shortly. Below are some pictures from the launch event, in which selected extracts from the text were presented alongside archive TV news footage and of-air audio to give a flavour of 1980s Caroline for the 100 strong crowd who turned out at The Odessa Club for the occasion. Big thanks to Johnny Bambury for this excellent series of shots. Falling under the magic spell of Caroline . . The above photo needs no introduction. You know the spiel by now. 25 years ago today/tomorrow, the night of the 15th/16th October 1987 saw The Great Storm, or The 1987 Hurricane, or whatever you would like to call it. Millions of trees uprooted, millions in property damage, 18 people killed, road, rail and power disrupted, and none of it forseen or foretold by the met office. 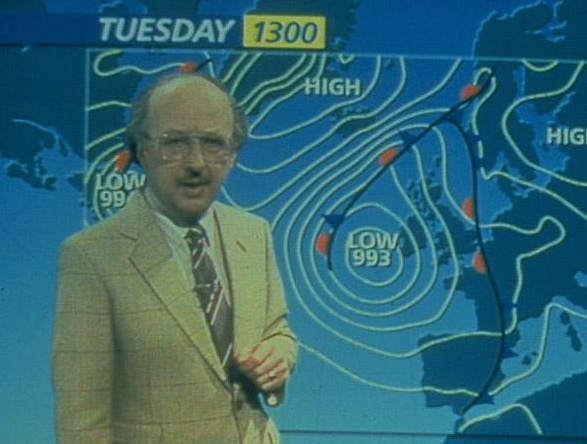 Amid great sniggering, the clip of Michael Fish reading the weather forecast on BBC TV at lunchtime on the 15th will be played, with him saying there is no hurricane coming, and the talk will be of how utterly the Met Office failed to prepare the Great British Public for the terrible storm. That’s the collective memory, and everyone knows it is true. Except . . it isn’t. I was there, and I was right in the teeth of the storm in all it’s fury, and I had been watching that lunchtime weather forecast, and I had heard Michael follow his comment about there not being a hurricane (technically true) by telling everyone that there was going to be some very stormy weather overnight. Ah, but they never play that bit of the clip do they? But more than that, I was expecting him to say this, and I knew several days earlier that the morning of the 16th would see a great and violent storm coming in from the southwest . . because the Met Office had told me, and other BBC viewers. Far from being unprepared, we were well prepared for a storm, and although, yes, it was much more severe than we expected, it is wholly unfair to say that the nation was not warned. The nation was, you see, mostly indifferent to the weather warnings over the preceeding days, and much more concerned with waiting for Neighbours to come on after the news bulletin. But the warning was there, as far back as the previous Sunday. I should clarify here that myself and my colleagues on board Radio Caroline were always very attentive to the weather, and always watchful and mindful of what it was going to do, as in our exposed anchorage 18 miles off the Kent coast the weather had a profound impact on our day to day life – on our level of comfort, on the ease of our doing our jobs, on our prospects of being resupplied at any given time, and on the quality of our sleep. So we were very attentive and invested in the weather forecasts. You might expect me to tell you of the amazing struggles to stay on the air during the great storm, and the frightening moments and waves as tall as buildings that we encountered that day, but that is not the purpose of this article. I’ve written about it in my book Shiprocked – Life On The Waves With Radio Caroline, and there is another account of it written by myself, which you can read for free online at Soundscapes (EDIT: for some reason the article cannot be directly linked from here, but if you google “soundscapes conway hurricane” you will find it)..
No, this piece is my attempt to shout my truth unheeded into the wind yet one more time, and try to tell you that the story of Michael Fish and the sleeping Met Office is . . just a story, a popular narrative. Unfortunately, it has over time become THE Story, the only one that is told. So, did the Met Office warn about the storm, and how far in advance did we know? We knew as far back as Sunday 11th October, four or five days earlier, that we were in for an almighty storm in the early hours of Friday 16th. Needing to be conscious of the weather, and as Caroline’s Head of News, one of the things I never missed was the Farming Programme on Sundays on BBC1 (not sure if it was called Countryfile back then, but it was essentially a more down to earth and less jazzy version of the programme that still runs to this day). The programme always featured a long-range weather forecast for the next 7 days, and this was highly useful to us on Caroline for assessing if we were going to have some bumpy days, and when there might be a weather window for supply boats to reach us. I was particularly conscious of the forecast on that particular Sunday, as we were short staffed (two presenters down), running short on certain supplies, and crucially had not received new records for a number of weeks (pretty essential for a contemporary music station). The large supply ship that came out from France that weekend did not have these people or items, but brought a message with it that there would be a small boat coming from the UK on Friday with fresh staff, supplies, and music. Looking at the long-range weather forecast on the farming programme, we knew that this was just a pipe dream, and that there would be no new supplies on Friday – the weather would be far too rough for even the much bigger French tender to come to us, never mind a small fishing boat. So although the ferocity of those mountainous seas at daybreak on Friday, 25 years ago, did astonish us, we could not, truly, say we were not warned. Next time you see the clip of Michael Fish, and you hear the story about how forecasters did not predict a storm, don’t believe it. I’d like to believe that my personal truth would counter the popular myth, but i know that, like on that morning a quarter of a century ago, my words will be lost in the howling wind. 20 years on from the most terrifying morning of my life . . aground on the Goodwin Sands with hopes of rescue seemingly dashed as the crew of the Ross Revenge shook hands and prepared for the ship to roll over . . .
Sean O’Casey Community Centre, East Wall, Dublin. 20 Years ago this November, Dubliner and East Wall resident Steve Conway survived the shipwreck of the Ross Revenge, the last of the Radio Caroline off-shore Radio Ships. Reading from his book, Shiprocked he tells of this event and of his life on the famous Pirate Station, Radio Caroline. This event is free, but an opportunity will be available to give donations and to RNLI and Sean O’Casey Community Centre. 6pm, Sunday 24th August 2010, Seven Towers reading and open-mic. All welcome. Tomorrow I will be reading at this London even alongside fellow Irish writer and poet Eamon Lynsky, poet Graham Buchan and performance poet Yetibetti. I will be reading a new lighthearted short story (fiction) and possibly some extracts from Shiprocked – Life On The waves with Radio Caroline. Yetibetti is a 29 year old aspiring performance poet, originally from the East Midlands but has been living in the London area for about 8 years, originally coming down for university. It was only recently she tapped into the London scene through nights such as Poetry Unplugged at the Poetry Cafe and found both writing adn performing addictive. She has a full time demanding office job and so writes in the margins. She believes in ‘person first – poetry second’ and although she appreciates many contemporary and classical poets she really admires anyone who can make her think, smile and hold her attention, such as Jarvis Cocker and the Artic Monkeys. Éamonn Lynskey has had poems published in many magazines. He was nominated for the Sunday Tribune/Hennessy Literary Award for New Irish Poetry in 2006 and one of his poems will feature on the 2009 OXFAM calendar. His first collection Dispatches and Recollections was published in 1998 and he is currently working on his second And Suddenly the Sun Again to be published in May 2010. Eamonn’s work is also featured in Census, The First Seven Towers Anthology and Census, The second Seven Towers Anthology. . Eamonn has also translated works of Italian poets Montale and Valeri and written in Italian – he holds a Diploma in Italian Lauguage and Culture from the Italian Institute, Dublin. His second collection, And Suddenly the Sun Again has just been published by Seven Towers. Well, the “Winter Storm Tour” with readings at Ramsgate, London, and a visit to Caroline herself at Tilbury went very well, and I am now making my way back up to catch the ferry at Holyhead. I’ve a great deal to report, and many pictures of the events and Ramsgate and London, and of the Ross Revenge and how she looks today. Watch this space in about 24 hours. Today’s (Sun 28th March 2010) special reading marks my return to The Hammersmith Ram, where the London launch of Shiprocked – Life On The Waves With Radio Caroline was held last year. 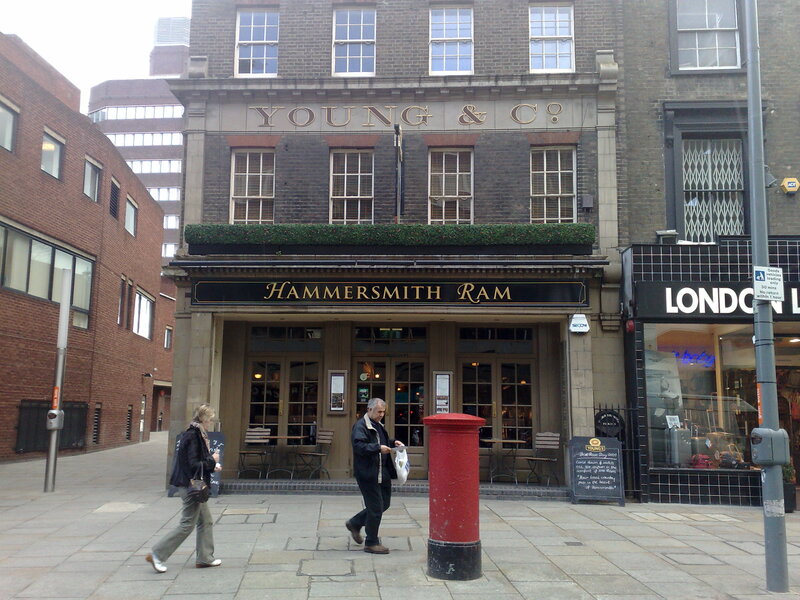 This is the first Seven Towers event in London, and with free admission, easy access by tube (Hammersmith Underground and Bus Station is 1 minute walk away) plus great food and drink on offer at The Ram it promises to be a good evening. The reading at 6.30 is followed by live traditional Irish music at 8pm. 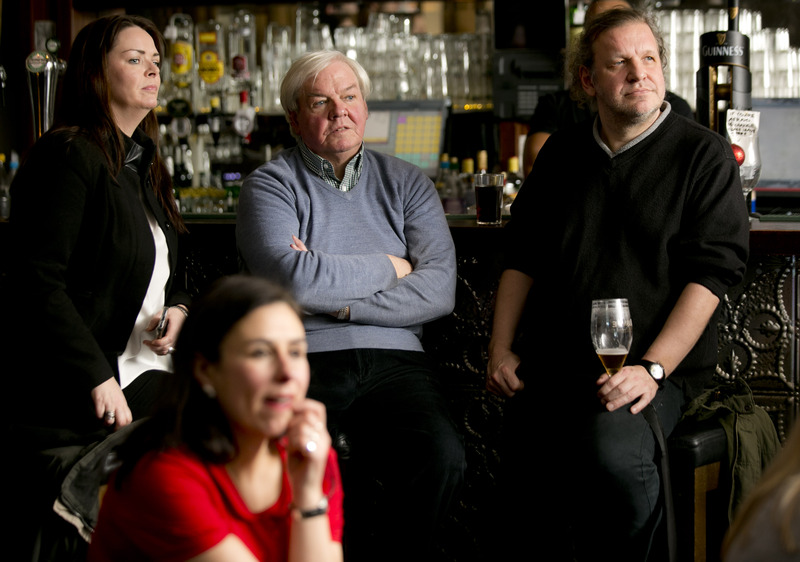 Seven Towers Writers – Steve Conway, Eamonn Lynskey and Donal Moloney will be joining Liverpool artist and writer Alice Lenkiewicz at the Hammersmith Ram Pub in Hammersmith, London for a spectacular reading. The reading will be followed by an open mic and the whole event will be followed by the Ram’s weekly Session! Artist and writer Alice Lenkiewicz lives and works in Liverpool. Her books include a poetry collection, Men Hate Blondes (origional plus, 2009) and a novella, Maxine (Bluechrome Publishing, 2005). Alice Lenkiewicz also publishes and edits Neon Highway, a poetry magazine that supports emerging and established poets. Steve Conway is a journalist, writer and radio DJ,. he is a former programme controller on the legendary Radio Caroline. 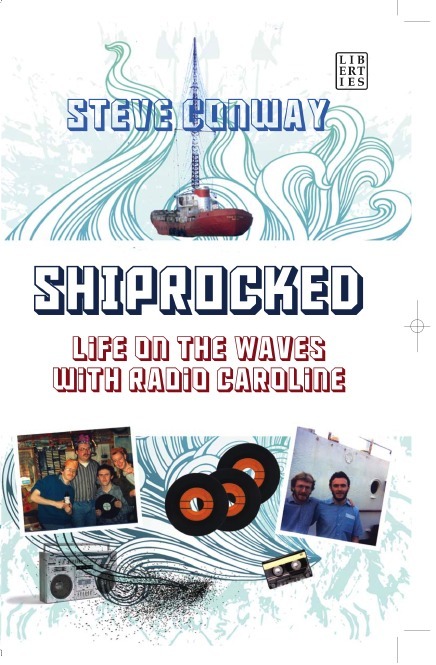 Steve has written a best selling memoir – Shiprocked, Life on the Waves with Radio Caroline – about the years he spent at sea with Radio Caroline on the Ross Revenge, and the dramatic end to this time. Éamonn Lynskey has had poems published in many magazines. He was nominated for the Sunday Tribune/Hennessy Literary Award for New Irish Poetry in 2006 and one of his poems featured on the 2009 OXFAM calendar. His first collection Dispatches and Recollections was published in 1998 and 1.His second collection And Suddenly the Sun Again will be published in 2010. Éamonn, who holds a Diploma in Italian Language and Culture has also translated the works of modern Italian poets into English. 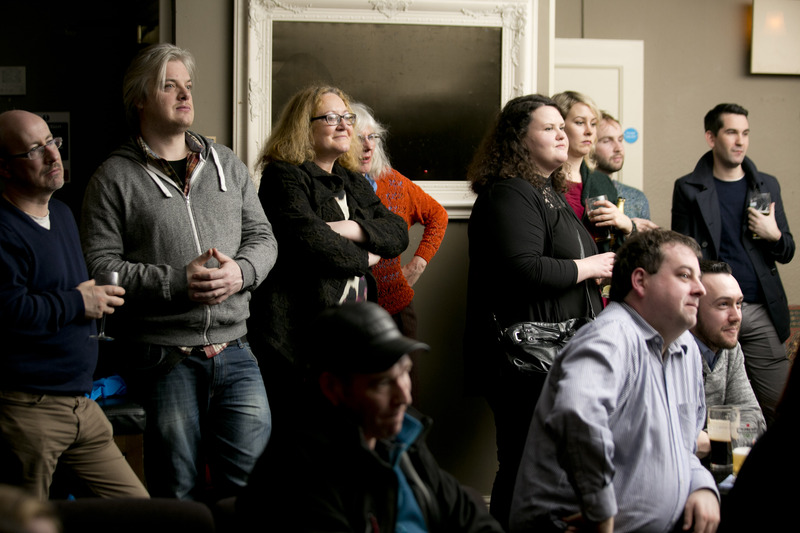 He is also a long time contributor to the open mic scene in Dublin. 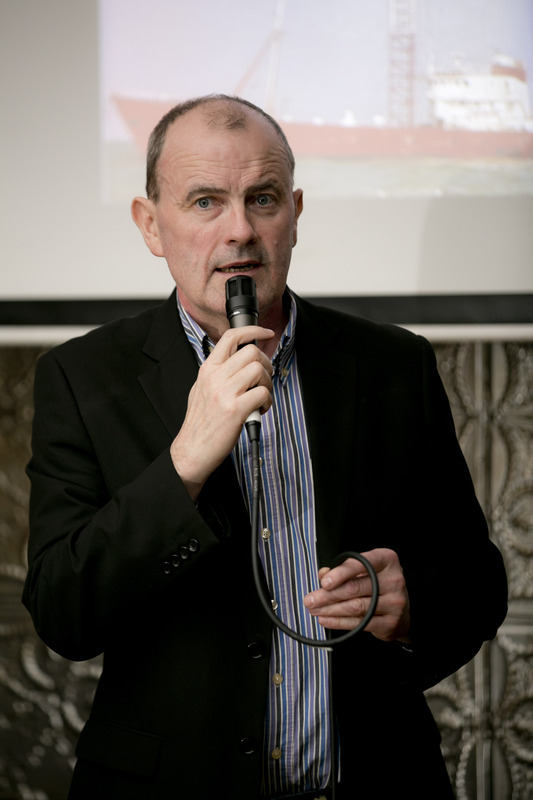 Dónal Moloney is a writer and translator from Waterford. The excerpt published here is a version of Chapter 4 of a novella called In The Balance, which he is currently completing. An alternate short story version of Chapter 1 of the novella received a commendation in the 2009 Seán Ó Faoláin Short Story Competition. An excerpt from his short story The Mask appeared in Census: The First Seven Towers Anthology. He is a regular featured reader at both the Chapters and Verse Reading Series and the Last Wednesday Reading and Open Mic Series. Seven Towers Agency is an independent, Not for profit literary agency, publishing company and eevnt organiser based in Dublin Ireland. Been There, Done That, Got the T-shirt? Not quite . . I was somewhat baffled to receive the following link from the Google Alert that tracks online mentions of Shiprocked – Life On The Waves with Radio Caroline around the world. For one fleeting moment I wondered if I had wandered into a strange alternate universe in which I was cool enough for people to base clothing lines on, before remembering that one online retailer in Ireland had by accident listed the book as a T-shirt. This has obviously resulted in other associated sites using this supplier taking it on as part of their rock and roll clothing lines . . Still, nice to know that you can now buy the book in small, medium, and extra large!